Girl Camper #65: Kate Dunbar, Girl Glamper! On this week’s show I welcome friend and colleague Kate Dunbar. Kate is an accomplished chef, food stylist, photographer and a glamour camper. 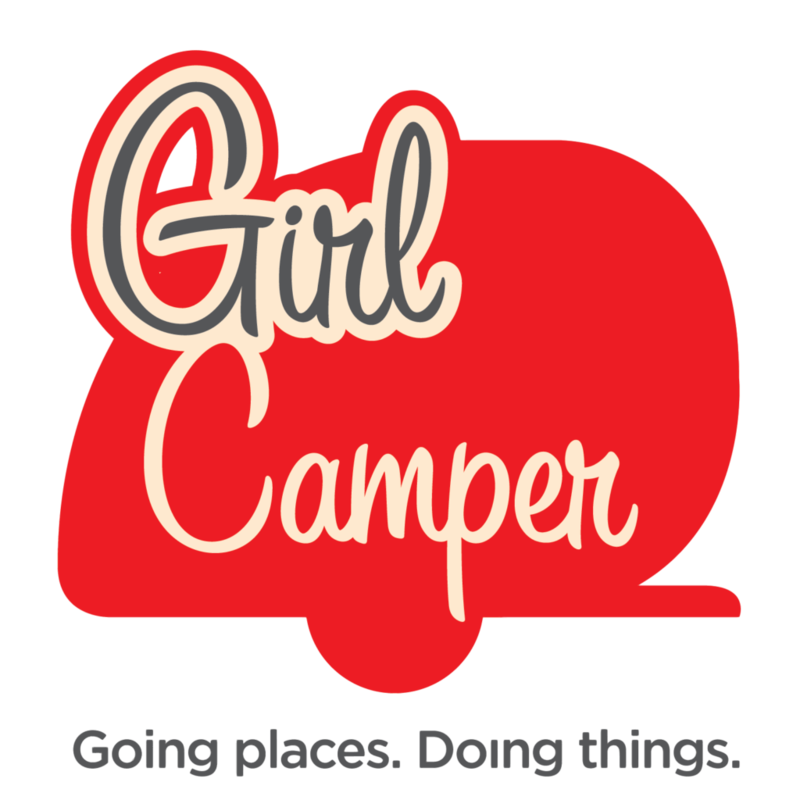 She’s the hostess with the mostest who is sharing her philosophy on why the Girl Camping movement is so important to women in all stages of womanhood. 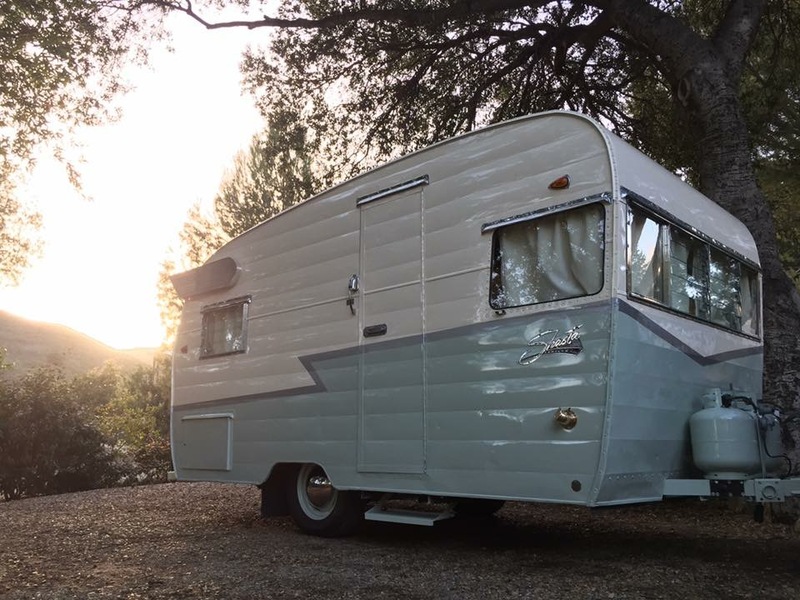 Kate’s Glamping Camper – her 1962 Shasta which she uses for Girl Camping. 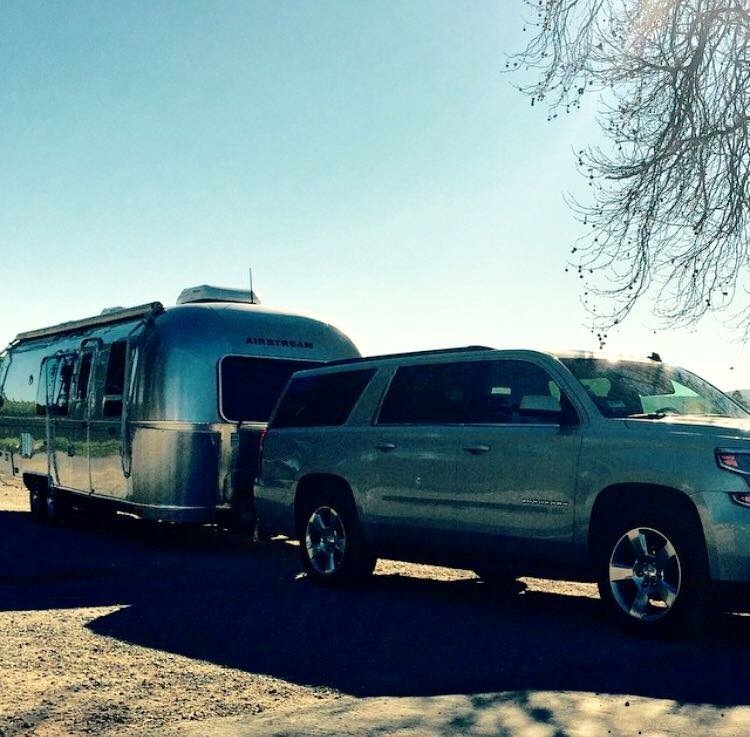 The Dunbar familie’s multi generational 2015 30′ Airstream Flying Cloud. Visiting Waxahachie. 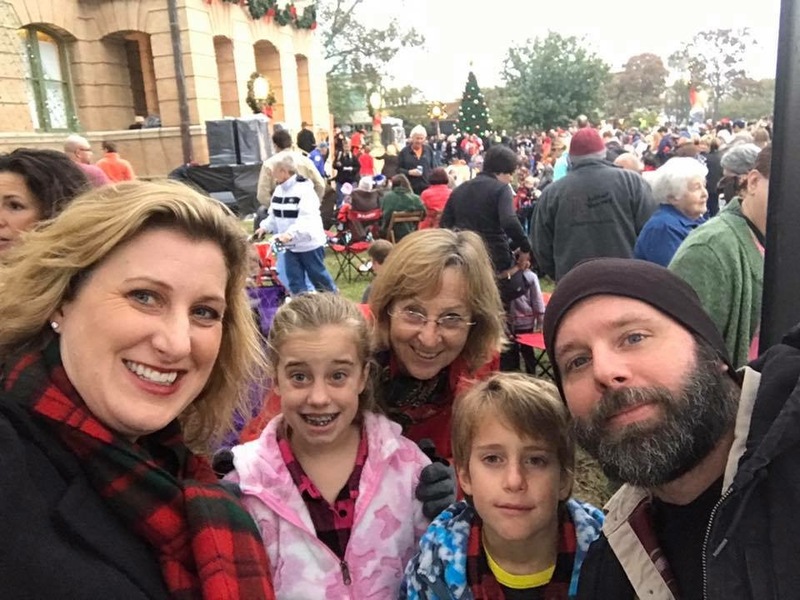 This north central Texas town is my home away from home and I had the opportunity on this longer visit to do some of my favorite things “on the square” and on Main Street. If you are driving through Texas plan a day or two to take in the history of the Crepe Myrtle Capital of the USA. 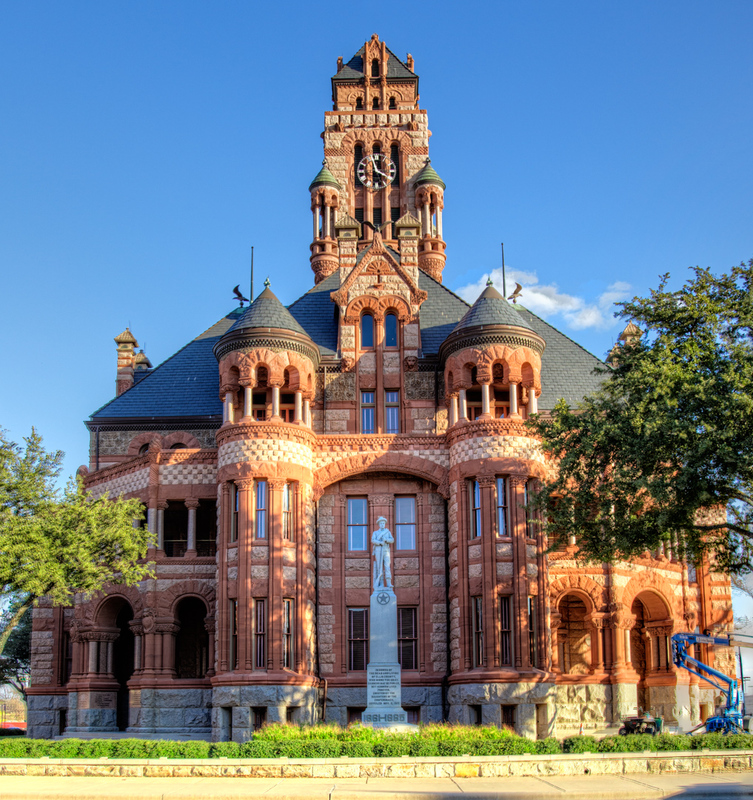 The County Courthouse in Waxahachie, Texas. Photo by Jim Ellijay. My favorite way to travel when I can’t camp is via Bed and Breakfast Inns. Waxahachie has two of my all time favorite Inns. 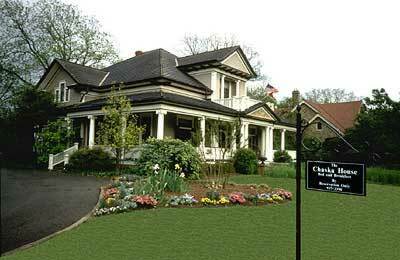 My family has been staying at the Chaska House on Main St for over ten years. When my moms house is full there is a rush to the phone to see what’s available at this beautiful Greek Revival building on the outside of town. The Chaska House at 716 West Main Street in Waxahachie. Hosts Linda and Louis Brown took on the restoration of this home as a labor of love. Each guest room is named for a famous author. I have had the pleasure of staying in the Shakespeare, Hemingway, and Mark Twain rooms. The Inn is elegant but inviting. 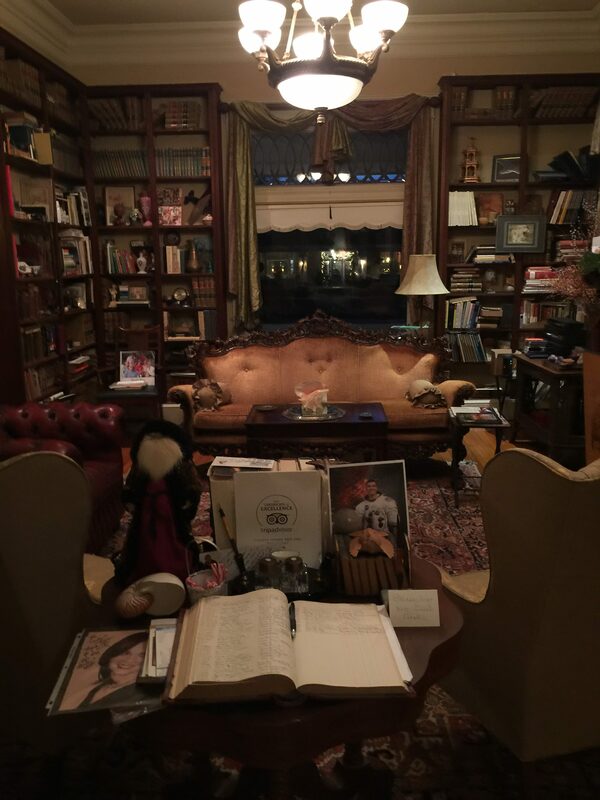 The library is my favorite room and hosts Linda and Louis make you feel as if it is your own room, encouraging you to pull a book off the shelf and settle in for a good read. It’s hard to pick a favorite room in Chaska but if pressed I would have to say the library! The Chaska House is a great home base to day trip to Canton or Hillsboro, Texas for an antiques day or to Waco to visit the Magnolia Market at the Silos. You can also spend a day in Ft. Worth at the Cowgirl Museum! Across the street is the newly opened English Merchant’s Inn. I can best describe its architecture as a brick four square with a huge inviting porch for tea sipping, newspaper reading and breeze catching. Classic Texas but with a nod to our Imperial forefathers. 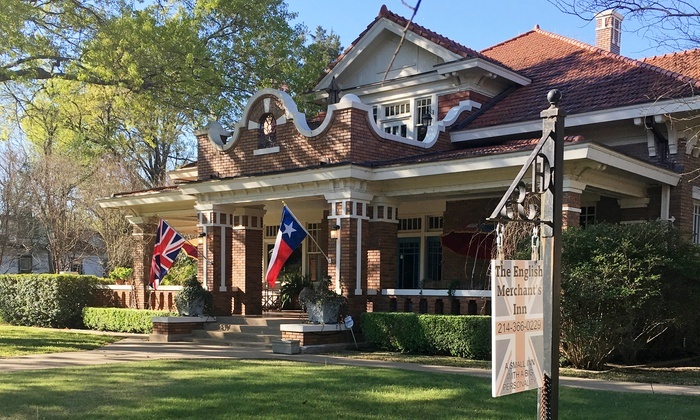 The English Merchants Inn at 717 West Main Street in Waxahachie, Texas. The British inspired decor is an eclectic mix of classic furniture and flea market finds that somehow magically blend to create a space that sets creative souls on fire. 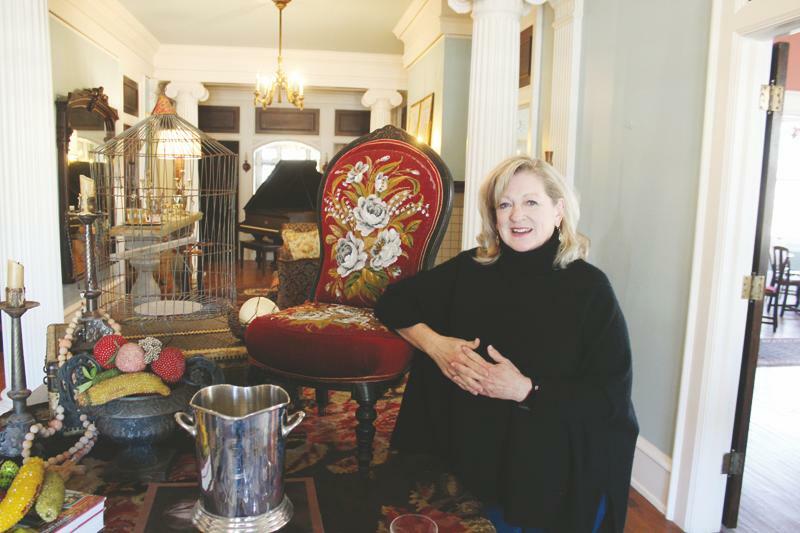 The Inn is the vision of well known Texas designer Mary Baskin whose day job is taking clients on antiquing jaunts to the French countryside and British hamlets. Mary can do to a blank room what Henri Matisse did to a blank canvas. Her design style is bold and colorful and the elements harmonize into inviting rooms that leave guests feeling as if they’re wrapped in a contemporary painting while sipping tea from fine china. 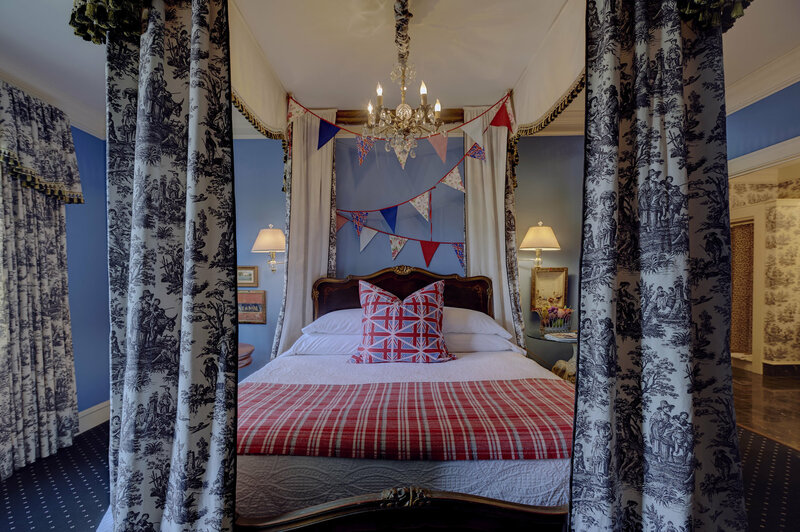 Color and comfort peacefully coexist in the guest suites at The English Merchants Inn. I loved reading the original newspaper pages from Queen Elizabeth’s 1937 wedding that wallpaper the staircase leading to the guest rooms. A large landing creates a welcoming lounge for reading, coffee, a cocktail or lazy board game. I can’t wait to get back to Texas and try out the guest rooms in this new Inn!! Marys beautiful Inn is just one extension of her many talents. Her Vagabond Travel International company creates private sightseeing and shopping trips to France and England.